There are many opinions about online gambling in the US, as some believe it should be legal once more, while others tend to leave gambling to the more traditional brick and mortar casinos. 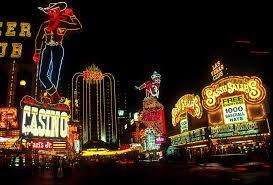 However one state has take a stance when it comes to legalize gambling for online players and that is New Jersey. (Vegas is also legal, but that's a given..). The state of New Jersey has approved online gambling to its residents as it realized its massive potential, collecting more taxes from people who will go and gamble anyways.. so why not making it legal ? Apparently there are a lot of online poker players in new jersey , who like to go to Atlantic City, but the availability of online games, tournaments and events has elevated that interest, and as oppose to other states who are more conservative, New Jersey players enjoy great game, without the fears of breaking the law. As it was with legalizing Marijuana process, that correction of the law will take some time, but New Jersey is one of the pioneer in doing do, same as Colorado was the first to allow people who chooses too, to smoke in the comfort of their homes, without being harassed. that same logic, exist in the gaming sector, where soon enough, lawmaker will realize there is no much sense of banning games that people love, while collecting the taxes, making it legal, helping those who need help, and blocking black markets and crime be committed without supervision. As long as people like gambling, they will continue to play so, online and inside the casinos, but since you can't go to Las Vegas every other week, they will turn to online play. That will be resulted in few things: First, they are now breaking the law. Second, they will most likely play in an off shore site, pushing all the revenues (and potential taxes revenues) to outsiders. In addition, in an an unsupervised market, many people who will have problems, will have hard time go and seek help, as they essential do something illegal. The state of new Jersey, has avoided all of that, by simply legalizing online playing withing the state limit. The desire of the people is to have freedom in doing what they want, as long as they are not hearing other citizens. By legalizing gambling all over the U.S, and not only in New Jersey, the federal government will do the citizens, and it self, a great service, by taking a lucrative industry, regulate it, gain the taxes off of it, and help people who will need help in an orderly fashion. That is their obligations to its citizens, and that will surly be in the near future, same is with the greet state of New Jersey. The future is with technology and online is where everybody is. There could be some limitations, and regulations and laws and other elements that could be in place, to enable safe and secure playing, but having it completely banned create the exact opposite, and that makes no sense at all. The state of New Jersey is a pioneer, by realizing all of the above, and provide residents what the want, as long as its being done in a safe environment.